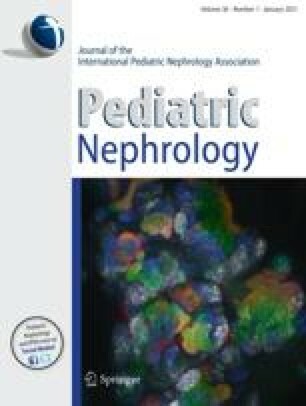 Hypercalciuria is a major risk factor for kidney stones and hematuria in children. Calcium measurements in 24-h collected urine (mg/kg/d) is still essential for the hypercalciuria diagnose but collection of 24 hour urine is difficult especially in young children. A prospective study was conducted to compare calcium/osmolality (Uca/Uosm) ratio to calcium/creatinine (Uea/Ucr) and to correlate both ratios to 24-hour urine calcium excretion (mg/kg/d) and the value of Uca/Uosm ratio for diagnosis of hypercalciuria in children. Two hundred and fifteen patients aged between 3 to 15 years (median 8 years) were included in the study. Early morining second urine samples and 24-hour collected urine samples were analyzed. The 24-hour urinary calcium excretions were significantly correlated with Uca/Ucr and Uca/Uosm ratio (r =0.67, P<0.001 and r =0.61, P<0.001 respectively). The accepted hypercalciuria level of 24-hour urine calcium of 4 mg/kg/day coincides with Uca/Ucr ratio of 0.18 mg/mg (sensitivity 90.0%, specificity 84.4%) and with Uca/Uosm ratio of 0.14 mg/l/mOsm/kg (sensitivity 90%, specificity 81.0%) in the ROC curve analysis. Positive and negative predictive values were found 98.3% and 39.1% for Uca/Uosm ratio and respectively 43.9% and 98.4% for Uca/Ucr ratio. In conclusion Uca/Uosm ratio is a good marker of hypercalciuria as well as Uca/Ucr ratio and may be used for screening of hypercalciuria.